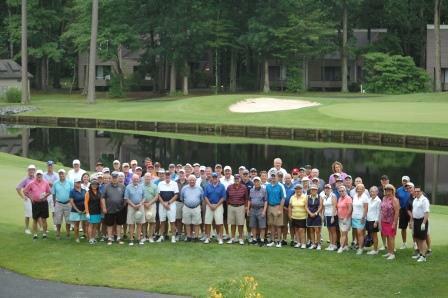 More than 120 golfers and volunteers continued the celebration for the Ocean Pines community’s 50th anniversary at a sold-out tournament at Ocean Pines Golf Club on June 30. 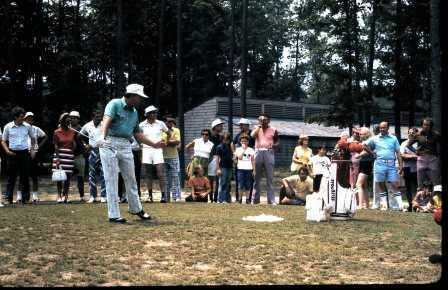 The 18-hole scramble at the Robert Trent Jones-designed course featured a foursome of past and present Ocean Pines head golf professionals, including Bob Haley, who held the title when the course officially opened in 1972, as well as Buddy Sass, Bob Beckelman and current Director of Golf John Malinowski. Former head golf professional Hunt Crosby was unable to participate in the tournament but joined the lunch after at the Ocean Pines Yacht Club. 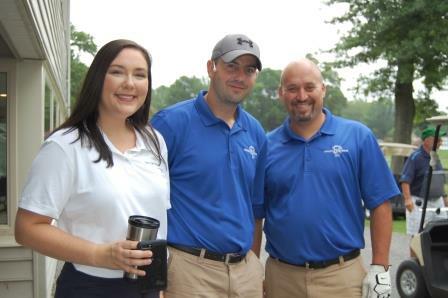 A new event month for the 34th Annual Taylor Bank/Ocean Pines Junior Golf Scholarship Tournament, held on Wednesday, June 13 at Ocean Pines Golf Club, helped to top last year’s record participation, resulting in more money for junior golf programs and scholarships. 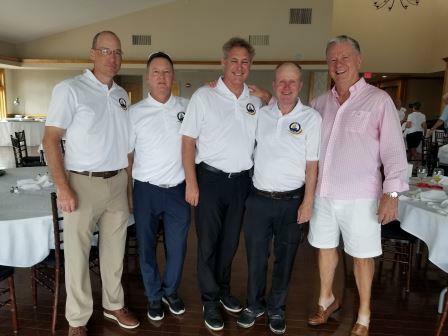 The event, which raises funds for scholarships for local high school seniors and for junior golf programs at the course, is hosted by the Ocean Pines Golf Members’ Council. It has been traditionally held in August but was moved to June this year in the hopes of having more temperate weather and to avoid conflicts with other tournaments, according to tournament chair Scotty Wheatley. The literal and figurative heart of Ocean Pines – Ocean Pines Golf Club – will help the community continue its year-long 50th anniversary celebration with a golf tournament later this month. Although just a few years shy of 50 (the course opened its first nine holes in 1972), Ocean Pines Golf Club has long been the social center of the community. The sold-out event, which will be held on Saturday, June 30 at 9 a.m., is a testament to that legacy. According to Ocean Pines Director of Golf John Malinowski, the tournament sold out within a couple of weeks of opening registration. He said that those lucky enough to snag a spot will be in for a treat. 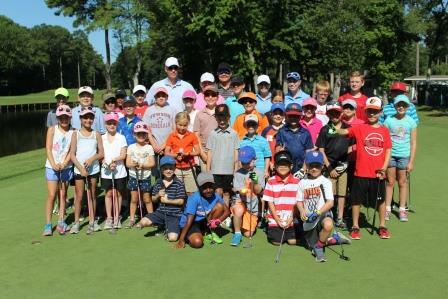 The Ocean Pines Golf Members’ Council will host the Taylor Bank / Ocean Pines 34th Annual Jr. Golf Scholarship Tournament at Ocean Pines Golf Club on Wednesday, June 13 with a 9 a.m. shotgun start. This year’s event is being held in honor of long-time Ocean Pines Golf Club member Chuck Shelton, who passed away this spring. It benefits junior golf in the area by helping support junior golf clinics and an annual tournament for junior golfers. It also raises funds for scholarships that are presented to local high school seniors who have expressed an interest in golf. The public entry fee is $80 per person, which includes greens fee, cart, team prizes, men’s and ladies’ closest-to-the-pin prizes, door prizes, continental breakfast, on-course refreshments and lunch at Taylor’s Neighborhood Restaurant following the tournament. The entry fee for Ocean Pines golf members with a cart package is $50 and $65 for members without a cart package.